TIPP !!! - Dub-Stuy Lines Up Its Second Release From New York's Blind Prophet Just In Time For Summer. 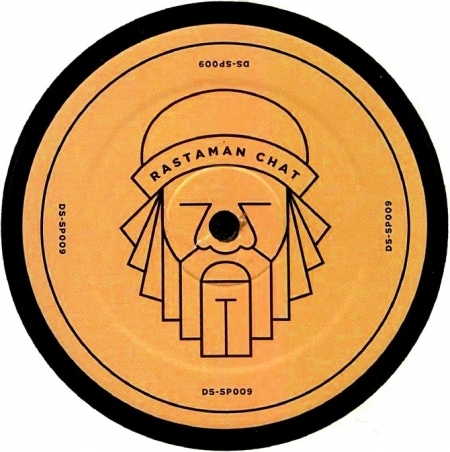 "Rastaman Chat" Is A Bass-heavy Skanker Featuring London Based Ras Demo Aka Demolition Man And Backed By A Large Drum & Bass Remix From Greek Producer Fleck. The Sp's Title Track Combines Lilting Chords And Delayed Stabs With A Rub A Dub-inspired Beat And The Bass Weight Of Dubstep To Provide The Perfect Backdrop For Ras Demo's Fast Spitting Lyrical Flow. The Singer's Uplifting Message Pulls From The Teachings Of The Rasta Faith, Celebrating Its Uncompromised Moral Principles And Liberating Power In The Face Of Oppression From Mainstream Society. Backing The Title Track Is An Energetic Drum & Bass Remix From Athens Based Producer Fleck, Who First Connected With The Dub-stuy Crew At Outlook Festival. Keeping True To His dub To Jungle' Philosophy, He Speeds Up Proceedings To Give The Dancefloor A Workout In Classic Junglist Fashion. A Summer Anthem In The Waiting, This New Single From Dub-stuy Celebrates The Label's Foundations While Keeping Things Fresh And Pushing Forward, Ever.